Crown Prince Ludwig, later to become King Ludwig I, was married to Princess Therese of Saxony-Hildburghausen on 12th October 1810. The citizens of Munich were invited to attend the festivities held on the fields in front of the city gates to celebrate the happy royal event. The fields have been named Theresienwiese ("Theresa's fields") in honor of the Crown Princess ever since, although the locals have since abbreviated the name simply to the "Wies'n". In 1811 an added feature to the horse races was the first Agricultural Show, designed to boost Bavarian agriculture. The horse races, which were the oldest and - at one time - the most popular event of the festival are no longer held today. But the Agricultural Show is still held every three years during the Oktoberfest on the southern part of the festival grounds. The remainder of the festival site was taken up by a fun-fair. The range of carousels etc. on offer was already increasing rapidly in the 1870s as the fairground trade continued to grow and develop in Germany. Today, the Oktoberfest is the largest festival in the world, with an international flavor characteristic of the 21th century: some 6 million visitors from all around the world converge on the Oktoberfest each year. And since the Oktoberfest is still held on the Theresienwiese, the locals still refer to the event simply as the "Wies'n". So "welcome to the Wies'n" means nothing other than "welcome to the Oktoberfest"! 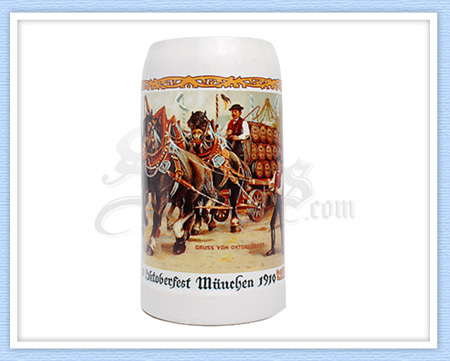 We have a wide variety of beer steins for Oktoberfest celebration. 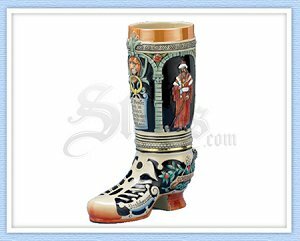 One of the consistently more popular is our beer boot. Everyone wants to figure out how to drink out of it...yes, there IS a trick to it! 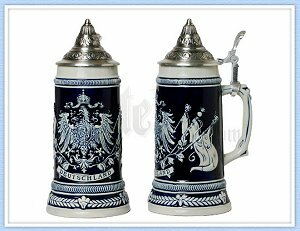 If your taste runs more along the line of a traditional Oktoberfest beer stein, we have the Deutschland beer stein, made in Germany and featuring a cobalt blue color and pewter lid. 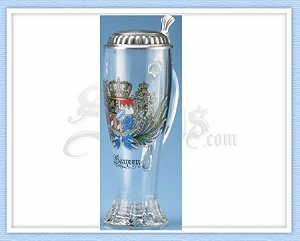 Visit our Oktoberfest steins and be ready to say "welcome to the Wies'n" in style!